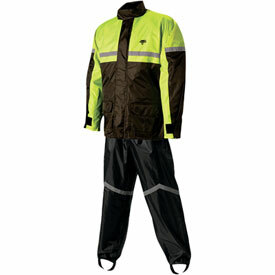 Two-piece 100% waterproof motorcycle rain suit. 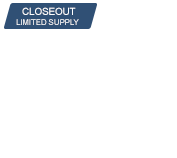 Soft Polyester outer shell with PVC backing. Jacket has full-length zipper with self-fastening storm flap. Two large outer pockets and cooling vents under each arm. Soft corduroy inner collar with hood. Elasticized waist and adjustable cuff with Self-fastening tabs. Reflective striping on both jacket and pants for night visibility. Pants feature elasticized waist band and cuffs. Oversized zipper gussets and elasticized boot stirrups. Does the male pants come with a fly?? ?